Think you know social media? 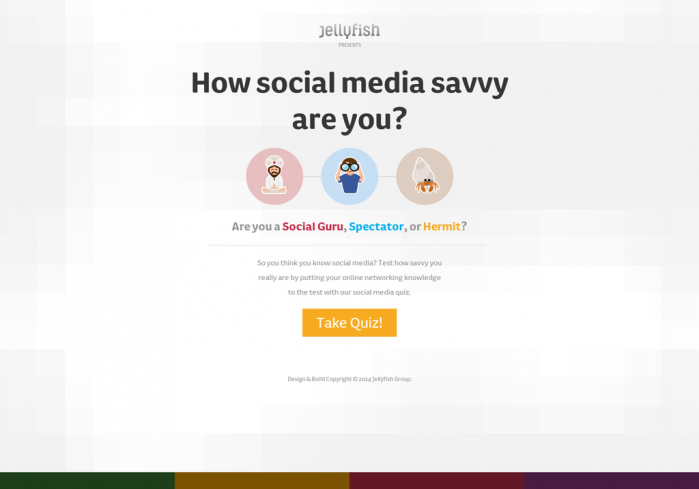 Well here is a fun little interactive social media quiz from our friends at Jellyfish that tests how much you have been watching your Twitter feeds and scanning your RSS headlines and keeping up with the comings and goings of the social media world. Go ahead, test your social smarts and let us know how well you did in the comments below!